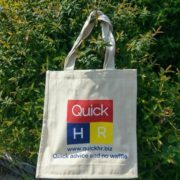 We have 5 great bags to give away – just share your thoughts and experiences about working with people. The canvas bags are big and incredibly resilient. I’ve been stuffing my bag with groceries and heavy objects for ages, with no signs of wear and tear. 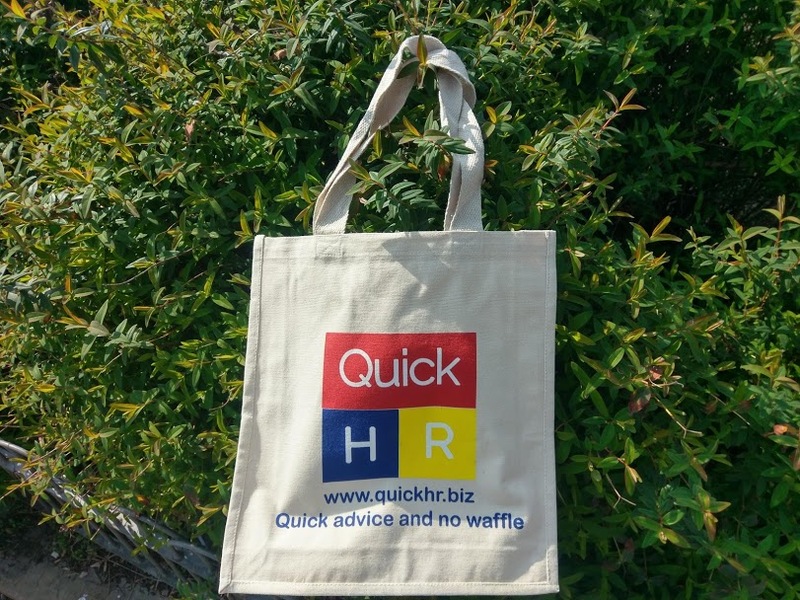 Send your thoughts by tweeting using the hashtag #quickhr or send an email to hello@quickhr.biz. The rules are simple: we decide who sends the best responses. Thoughtful, funny and interesting are probably the best approaches if you want to win. If it’s a negative but funny rant, you’ll probably make use laugh but you won’t get a bag. 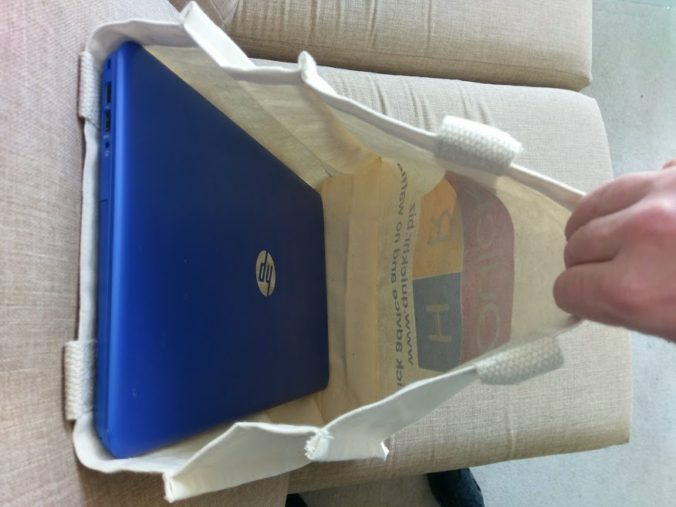 We’ll deliver or post the bag to you. Good luck and we’re looking forward to seeing what you say!